Provide comfort for the family of Carmen Otero-Colon with a meaningful gesture of sympathy. Holyoke – Carmen Otero-Colon, 73, passed away peacefully on Saturday, March 16th, 2019 surrounded by her loving family. Carmen was born in Morovis, Puerto Rico on June 18th, 1945, to Benito Otero and Juana Colon. Carmen was very much loved by her family. Carmen leaves to cherish her memories, 3 Brothers; Julio, Benedicto and Jose Otero Colon, 5 Sisters; Maria, Juana, Simono, Virginia, Nereida and Gertrudes Otero Colon family and friends. 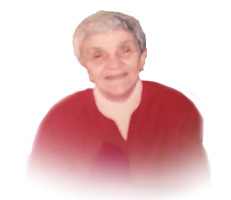 Visitation hours will be on Wednesday, March 20th, 2019 from 6:00 pm 8:00 pm and Thursday, March 21st, 2019 9:00 am 10:00 am from Puerta Del Cielo® Funeral Home 730 State Street Springfield, MA 01109, followed by a burial at the Oak Grove Cemetery. To send flowers in memory of Carmen Otero-Colon, please visit our Heartfelt Sympathies Store.